27 Boxes is the cutest place you could go to, what an amazing concept!! There are a lot of hidden gems there and one of the gems we fell in love with was a gorgeous restaurant called “The Table”… so so cute. They have a harvest table and they cater for people who are on vegan diets as well. The co-owner, Mandy was super keen to host us and let us use the space, couldn’t be more thankful. We brainstormed a couple of food and set up ideas with her and she’s an absolute powerhouse.🙏🏽🙏🏽 She also owns a fantastic restaurant at 27 Boxes called “The Countess” so we were definitely in good hands. 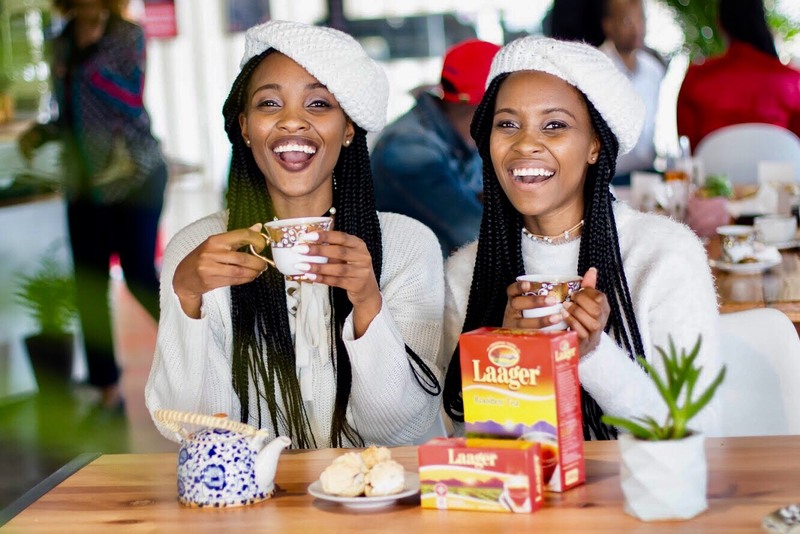 There were a few people celebrating their birthdays 🎉 🎂 🎈 so we decided to play around with one of the LAAGER ROOIBOS flavors and make a beautiful dessert/ cupcake out of it. We used the Rooibos Chai to create a carrot and spiced chai cupcake with cream cheese filling. We (the cheesy twins 👭☺️) decided to surprise all the birthday boys with some cupcakes, Star lights 💫 🌟 and birthday songs ☺️☺️… it was super cute!! Another successful pop up and we are absolutely grateful 🙏🏽☺️. Everybody looked gorgeous in their All white attire, thank you for respecting our theme, lol. And all those who didn’t wear white… ☹️☹️ it’s ayt, we still love you. Lol. Swiss Army did the Amazing artwork on our posters and branding. Our siblings… the best assistants in the world. The Table, for allowing us to host a lovely evening. And finally LAAGER ROOIBOS for another successful collaboration, we are so thankful.